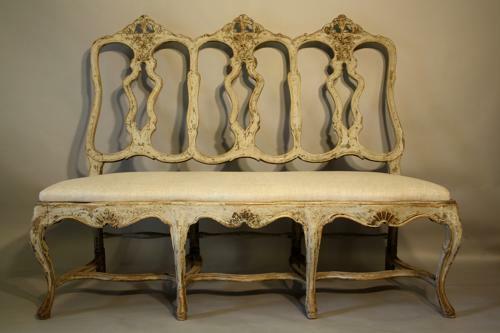 An elegant carved wood three seater Portuguese bench with later painted scraped back pale grey paint. Lovely curvaceous front and serpentine legs including stretcher detail. Reupholstered seat. C19th frame. Seat height is 46cm.